You invested so much time into crafting your resume and it’s nearly done. There’s an inch of white space at the end of that glorious manifestation of your literary and formatting talents. Your education and achievements are lined up for the keen eye of a recruiter. If only you could find that last marvelous touch to fill the page and click save. And then, in the moment of ultimate inspiration, a burst of creativity flies through your head and you suddenly realize! Eureka! Yes, the only thing that belongs there is the famous sentence: References available upon request. Very smart! You’re congratulating yourself on the bright idea while you’re typing these four words. You killed two flies with one hit. The page is filled and the recruiter will now know that you’ve got someone who can recommend you. Done! Click Save. What a spectacular way to finish your resume! Or is it? Read further and find out for yourself. Should You Include Your References in a Resume? Privacy – As a jobseeker, you’re never going to put all your eggs in one basket, meaning it’s almost certain that you’re going to send your resume to multiple companies in search of a perfect job. Now, imagine that you’re supposed to give reference to someone. Would you like your contact details to circulate through hundreds of emails, job boards, HR departments etc? Of course not. Well, persons you chose to give you references share the same feeling. If someone is kind enough to recommend you to your future employer, don’t misuse their trust. Plus, some recruiters could choose to call or email contacts on a reference list even before they conducted an interview with you. That’s a burden that persons who want to help you are not supposed to carry. Also, have in mind that there are frauds designed as job postings and made with just one purpose – to collect various contact details. Protect your references from this kind of deception. Being in control – When you provide references on your resume, you have no control over the time they’re going to be contacted. If you collected your references a couple of months ago and they are called from your future employer without prior notice from you, they can be surprised and won’t provide recommendation with a level of quality you expected from them. This can be fatal to your job application. References could take your job – Imagine you’re a recruiter. You’re looking for candidates for a position of a retail manager. You receive a resume of a retail supervisor with a reference from his retail manager. Which one would you recruit? Manager, of course. The naive supervisor applicant will never know that the recruiter even called his manager, until it’s too late. Do not let your references take your job. 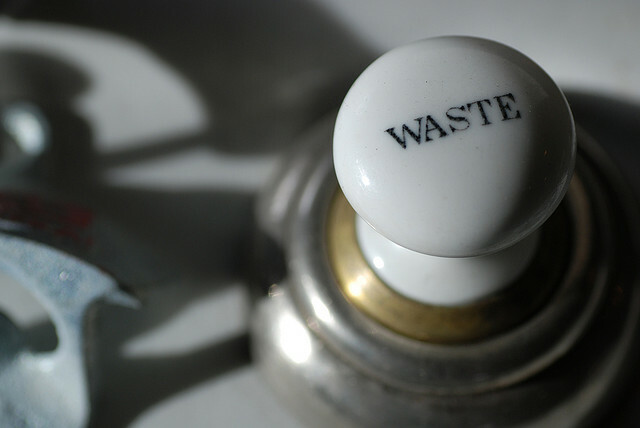 Waste of resume real estate – Resume real estate is a precious belonging. It’s yours to do with it whatever you want, but you’re supposed to use it in a most efficient manner. That means that your references don’t belong there. Use that space to present your achievements, skills and expertise. Stated on a job posting – When the job posting explicitly requests your references to be stated in your resume be sure to include them or you may be disqualified from the further process. However, this is a fairly rare situation and request from an employer. Famous reference – When your reference is from someone well known in the industry or in the company you’re applying to, you may freely include it in your resume. For example, imagine the weight of your resume for the position in Microsoft if you could include a reference from Bill Gates. Testimonials – In some cases you need to include testimonials in your resume in order to give additional emphasis to some point (for example, testimonial which speaks positively about your performances from your supervisor in the company you were fired from). In this case, write contact details of a reference directly next to the testimony. Don’t forget to ask your reference for permission to do so. 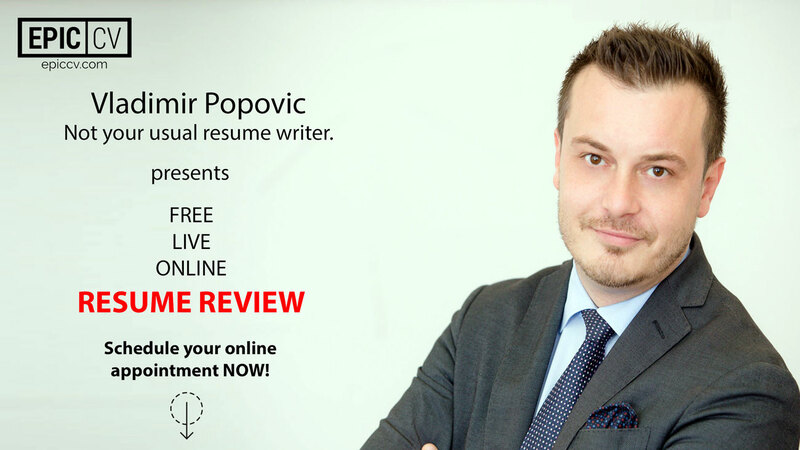 Schedule your FREE resume review NOW! When to Submit References to Employer? If not in the resume, when should you hand over your references to employer? This is a no brainer, since you just have to follow instructions of your future employer. If they say to include references in your job application, then do so. If they don’t mention it, you don’t mention it either. Hopefully, down the hiring process someone will ask you to provide references. That’s the time to give them to your employer. Usually, the fact that the employer asks for your references is a good sign. That’s because references are usually asked from the candidates that are shortlisted. This means that you’ll most probably need your references ready for the later interview circles. However, when the employer asks for them, be sure to have them on a separate document (called References List). While it is good to have high positioned references, it’s crucial that they are familiar with your work. CEO of a multinational company is a good reference only if he knows your past performances. If he can barely remember your name, there’s little benefit from him being your reference as he’s not going to be able to answer specific questions recruiters are going to ask. Have in mind that recruiters understand if you don’t want to list people from your current company due to discretion of your job hunt. In the end, know that professional references from a completely different industry than the one you’re applying for are not the best choice. Use them only if you must. Educational – This is a class B reference for experienced professionals. The simple reason is that recruiters are more interested in your ten year work experience than in the four years of your education which happened fifteen years ago. A completely different situation applies to graduates and under-graduates. They should list teachers, professors, deans. Anybody who can testify to their academic behavior is a valuable reference since their educational history probably carries the greatest weight on their resume. Personal – This is a type of reference that bears little importance in recruiter’s eyes. That’s because of a heavy bias usually connected with these references. Bias is imminent due to the personal relationship of a reference with the candidate. Include your friends, relatives, parents, priests etc. only if they are the only choice for you. Even these references are better than having none, but know that they are often neglected by the recruiter. Ask them for permission – First thing you need to do when you choose your references is to ask them if they’re comfortable with that. Be tactic in this conversation. You’ve got to feel the pulse of your references and to be absolutely sure they’re going to say only stellar things about you. We’ll talk about that later in a dedicated chapter but that’s not the only reason why you need to contact them prior to naming them on your reference list. Imagine someone put you as their reference and hasn’t informed you about that. You receive a call from a recruiter, completely surprised, and even with best intentions, you won’t be able to manage the conversation in a best way possible for the person you’re recommending. So, don’t let your references be surprised with the call from a recruiter. Send them your resume and job posting – No matter how close you were with your managers, co-workers or subordinates, after a couple of years their image of you starts to fade in their memory. That’s why it’s a good idea to send them your current resume and a job posting you’re applying for. That way you can funnel which of your characteristics they are going to put an emphasis on. You can stress out your different attributes to different references and you’ll note which reference can testify on which attribute or performance on your reference list. Ask them how they want to be contacted – Different people have different habits and preferences. The same is with references. Someone would like to be contacted via phone, someone via email etc. Make sure to note the preferred way of contact for every reference on your list so a recruiter can use the right contact. Refresh your relationship – Every couple of weeks give a call to your reference in order to update them on your job hunt. Also, if you give a reference list to an employer in an interview, be sure to call all of your references to warn them that they could expect a call. That way you’ll accomplish three goals: your references won’t be caught off guard, you’ll know if some of your references are not available at the moment (trip abroad, sickness etc) and you’ll be sure that contacts of your references remained the same. Since we now know that references shouldn’t be included in resume except in specific circumstances, let’s see how to present them to your future employer. 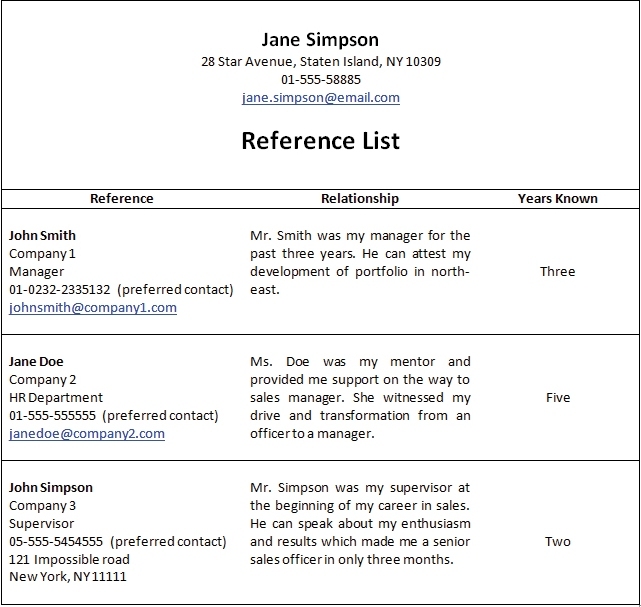 References list should follow the formatting of a resume – It means you should use the same fonts, same margins, same style of headers, same paper, same bullets you used on your resume. This consistency helps a lot with the brand of yourself you’re trying to present to the employer. Order of references – Be sure to put your best references first. Those are people which will certainly speak about you in superlatives and are relevant to the job you’re seeking. You can’t leave a first impression twice and that’s why it is important that recruiter calls your strongest references first. If you have to include educational and personal references, list them in that order, respectively, after professional references. Heading and title – Use the same heading as you used in your resume. Just under the heading write a simple title of a document. Write simply “Reference list”. References details – Write full name of a reference in bold. Below put the company your reference is working for and his position there. Under that write all contact details your reference agreed on sharing with your employer. Make sure that the preferred way of contact is listed first with the note about that. Write a brief explanation of your relationship with your reference. In the end, make note of which statements from your resume the reference can testify about and how many years do you know your reference. Repeat this consistently for all references. White space – Be sure to leave a lot of white space on your reference list. A recruiter is most probably going to write down impressions from the call to a reference directly in the reference list. Make his life easier, it’s in your best interest. Here’s an example of properly formatted references list. Feel free to use it for your needs. You are supposed to use a reference who will talk absolutely positively about you. Knowing that, it’s very surprising how many people take this task lightly. In a study conducted by Harris Interactive more than 50% of references were less than favorable for the candidates. Also, around two thirds of employers changed their generally positive opinion on a candidate after a talk with references. Do not allow yourself to become negative statistics! Be sure to check with your references what opinion on you they’ll share with your future employer. If you have a slightest doubt, remove that reference from the list. That’s because the harm you can suffer from one bad reference is not worth a risk of just having one more opinion about you. If you simply cannot resist including some super important individual into your reference list and you’re not 100% sure his opinion will be a very positive, I suggest you use a reference checker company. They will check the opinion of your reference and present you a full report about it. You can use a friend for this purpose, also. “References available upon request” – In today’s job market it’s an absolute must to have references. That’s why this sentence is a fluff and filler. Furthermore, it wastes precious resume real estate. Because of this, recruiters are very sensitive to this sentence. DO NOT USE IT. EVER. IN ANY CIRCUMSTANCE. How many references to include? – General rule is to include 3-5 references. Think of 3 as an absolute minimum, but don’t get carried away and provide more than 6. Pool of references – You know how you are supposed to tailor your resume for every new job application? To customize it? Well, the same goes with references. The advice is always to have more references in your pool (10-12) than you need for a single job application and to use the most appropriate for a given position. Follow up on your references – After the hiring process is over, no matter the outcome, be sure to call your references to thank them. A small gift or a promise to return a similar favor is appropriate. If the outcome was negative, be sure to ask your references what were they asked about and how the call went in general. That will give you precious insight about your references. Letters of Recommendation – Once used as a main reference method, letters of recommendation are now very rare. Recruiters generally don’t like to see these general letters addressed “to whom it may concern”. Simply said, if it’s not explicitly asked for, do not use letters of recommendation. Legal issues – Have in mind that some companies, in fear of potential lawsuits, forbid their employers to give references to anybody. The only data allowed to share with a new employer are the dates of employment and position. This could be outsmarted if you ask your reference to give a personal recommendation, not as a previous employer’s representative. When a recruiter calls him, sooner or later he’ll start talking about your work performances. Be sure to use this tactic only with references in which you’ve got 100% trust since there are so many ways this can go wrong. How and for how long do you know the applicant? Tell me something about the applicant’s skills in (something). What do you think about the applicant’s managerial skills? What are the applicant’s main strengths and weaknesses? How the applicant manages the pressure? Would you call this applicant a good worker? If there is just one, single take away from this article then it would be the following: the most important thing with references is that they recommend you for your stellar performance and qualifications and you should concentrate on that instead on your relationship with them which is not so important. Also, have in mind that references are in most cases the deciding factor in the last round of interviews. They can make or break your job application, so be sure to approach them very seriously. Do you have some unexpected experiences with references? Please, share them with us in comments. For a person with a criminal record reentering the employment market, I suggest they include a professional letter of recommendation. It helps to establish credibility.